Clematis texensis 'Duchess of Albany' is a fast growing, self-clinging, semi-herbaceous climber with tulip-shaped, bright nodding pink flowers that have a deeper pink bar/stripe to each petal from July to October. Clematis texensis 'Duchess of Albany' was raised by George Jackman and Son, England. 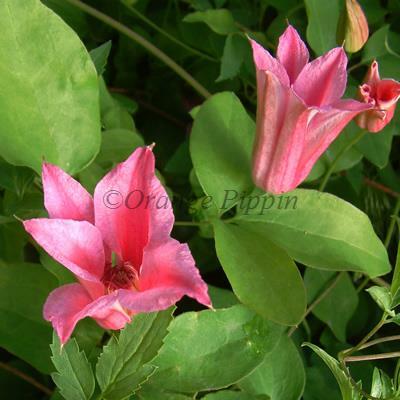 This delightful non-evergreen climber can be grown against a trellis, garden fence, wall, arches, pillars, pergolas, or planted in a container on the patio.